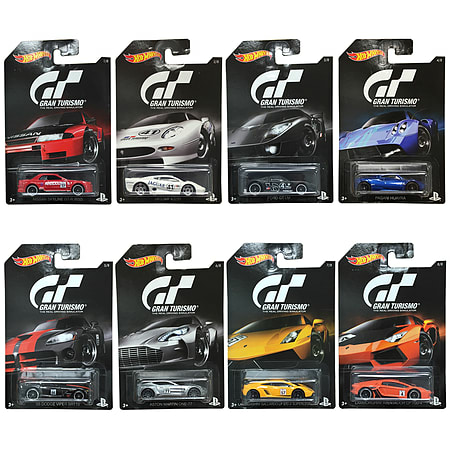 Exclusive Hot Wheels series — Gran Turismo! The great thing about this series that it carries all licensed vehicles with licensed Gran Turismo graphics straight from the Playstation video game. Each model is brand new in box. 1:64 scale approx 3 inches long.